The Honest Company isn't getting any more of Leslie Jones' business. 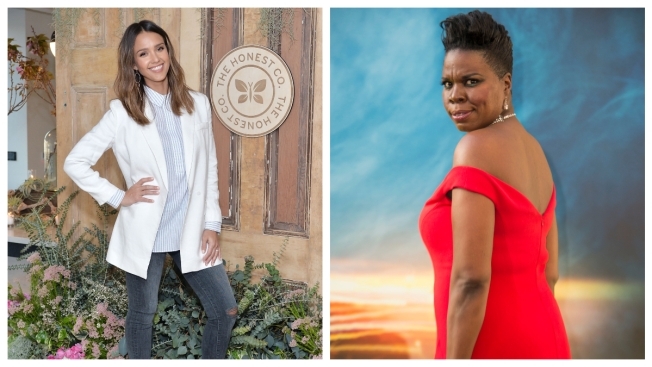 Honestly speaking, Leslie Jones has had it with Jessica Alba's Honest Company. The "Saturday Night Live" star took to social media to express her displeasure with a recent online purchase that was delayed despite claiming she paid extra for "next day air" service. Jones wrote she purchased diaper cakes, a trending gift at baby showers where diapers are arranged in the form of a tiered cake, but apparently didn't receive the gift when expected. "Next day air should not be a f—ing option," Jones wrote. "It should be made clear that the order is sent after processing which you don’t do. It’s not overnight if it gets there in a week. You charging me damn near 50 dollars for. The last three orders were late. It wasn’t like that before." Jones' public slam prompted an apology both from the company's official Twitter and a direct response from company founder Alba. We're so sorry your order was delayed. Our diaper cakes are handmade and can take 1-3 days to process. We value your feedback and we're always looking for ways to improve. We appreciate your love for Honest - thank you for giving us the chance to make this right. It's not the first bit of controversy for Alba's company. In 2015, a class action complaint was filed in the United States District Court of California alleging the company’s sunscreen was ineffective, which called into question the company’s marketing claims for an array of its products. The following year the company was sued by the Organic Consumers Association, which claimed their infant formula included at least 11 synthetic ingredients. Leslie Jones did not respond to Alba or the company's apology on social media.